Cor-X Fast Connector SC/UPC-FTTH-02 assembling guide. Fast Connector assembling step by step guide. Remove the retaining nut from the connector and put it on the cable. 1. Remove the outer protective coating using FTTH stripper to have the fiber length of 45-48 mm and protective coating must be 250 μm. 2. Mark 20 mm. of fiber using a ruler and marker pen. 3. Using FTTH stripper clean the fiber protective coating from the 20 mm mark till the fiber end. 4. Cleave the fiber to obtain 12mm. 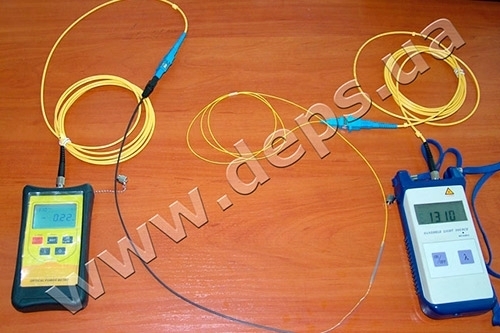 of stripped fiber (using FTTH HC-01). 5. Push in the prepared fiber all the way into the hole at the end of the connector opposite side . It is desirable to obtain a small fiber bend, which indicates that the fiber end has reached the contact. 6. Fix the fiber in the connector. 7. Fix the cable using nut. 8. Put on the last part of connector. Connector is ready for use.